Instead of £174.00. You save £8.70 due to the online discount . 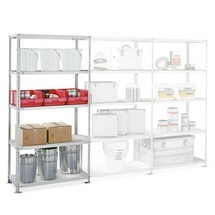 Tailored shelving solutions allow you to make optimum use of your available space. 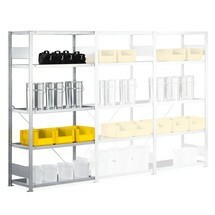 Create your own efficient storage using add-on units, with a shelf load of up to 350 kg, for tubular steel shelf racks. 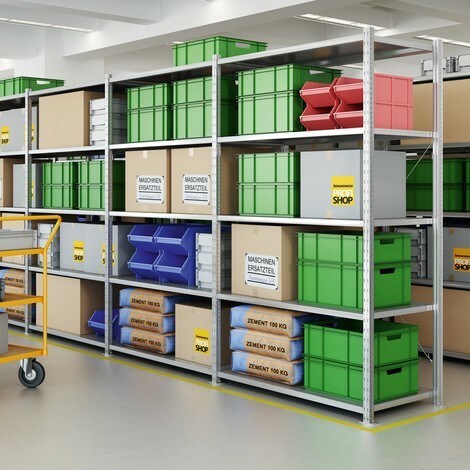 Be it in warehouses, workshops or on sales floors – the tubular steel shelf unit is ideal for all applications requiring robust and durable industrial shelving for moderate loads. 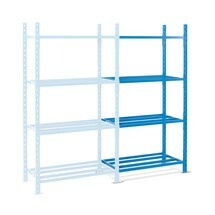 When it comes to configuring your storage space, this versatile shelving system offers the advantage that the base unit can be expanded with various add-on units, with a shelf load of up to 350 kg. The ingenious boltless assembly system ensures rapid, easy and secure installation. 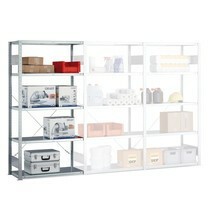 Like the base unit, the add-on units feature tubular steel shelves covered with panels. These can be easily moved up and down in the rack frame thanks to the hole pattern. The spacing between the punched holes measures 25 mm. 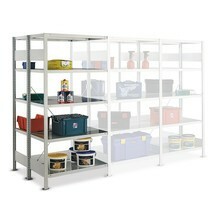 The shelf rack add-on unit with steel panel shelves is galvanised to protect against corrosion. 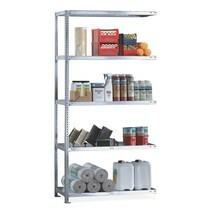 This makes the shelving system ideal for use in industrial applications. 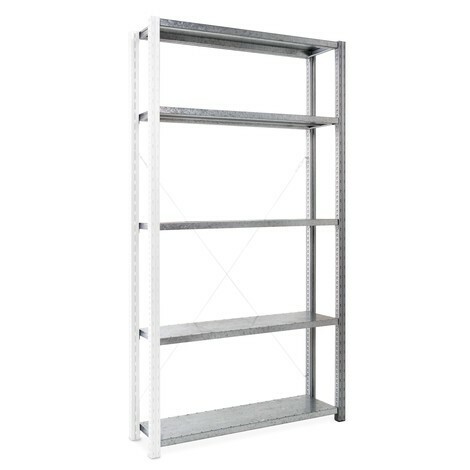 Diagonal bracing on the rear of each rack row provides additional stability. 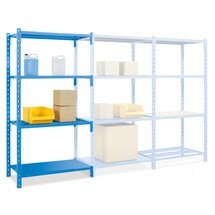 Enhance your storage facilities by expanding your metal shelves with spacious add-on units. 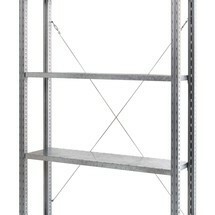 Order the add-on units for your shelf racks here from our shop.